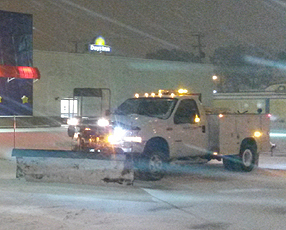 HWI Snow Management provides salt treatment/management and snow plowing/blowing services by the push, and by the event. All of our personnel are professionally trained in the operation of snow plowing and snow blowing equipment. We service all of the Hampton Roads Virginia area and Eastern/North Eastern North Carolina.